So, you’re thinking of going into business for yourself. You have several options available, and all involve some degree of risk. Do you want to create a start-up operation? Perhaps you are planning on buying an existing business. Or, you may be considering the purchase of a franchise operation. Each option involves some element of risk and reward. Whichever option you choose, however, owning your own business offers a chance at more freedom and greater financial rewards. For example, say you incur $52,000 of costs starting up your business before it begins operation and elect to deduct start-up costs. In the year your business actively starts, you can deduct $3,000 of start-up costs [$5,000 – ($52,000 – $50,000)]. You can also deduct the remaining $49,000 ratably over 180 months, or $272.22 a month for 180 months; your deduction for a year with 12 months of amortization would be $3,266.67. A business’s unused general business credit can be carried back to offset taxes paid the previous year and carried forward 20 years to offset future taxes. If you offer employees health coverage through the federal Small Business Health Options Program (or “SHOP”), have fewer than 25 employees, pay at least 50% of your full-time employees’ coverage, and have an average employee salary of less than $53,200 in 2018 (indexed for inflation each year), you may qualify for a tax credit worth up to 50% of your premium costs (35% for tax-exempt employers). If you are a self-employed individual, you may be able to deduct the amount you paid for health insurance for yourself, your spouse, your dependents, and children under age 27 (even if they were not dependents). However, the deduction isn’t available for any month in which you or any of those individuals are eligible to participate in a health plan subsidized by an employer. Now that you’ve decided to start a new business or buy an existing one, you need to consider the form of business entity that’s right for you. 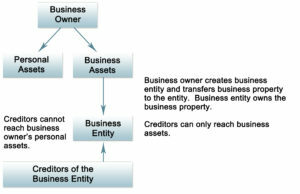 Basically, three separate categories of entities exist: partnerships, corporations, and limited liability companies. Each category has its own advantages, disadvantages, and special rules. It’s also possible to operate your business as a sole proprietorship without organizing as a separate business entity. Sole proprietorshipA sole proprietorship is the most straightforward way to structure your business entity. Sole proprietorships are easy to set up — no separate entity must be formed. A sole proprietor’s business is simply an extension of the sole proprietor. PartnershipsIf two or more people are the owners of a business, then a partnership is a viable option to consider. Partnerships are organized in accordance with state statutes. However, certain arrangements, like joint ventures, may be treated as partnerships for federal income tax purposes, even if they do not comply with state law requirements for a partnership. Limited partnershipsA limited partnership differs from a general partnership in that a limited partnership has more than one class of partners. A limited partnership must have at least one general partner (who is usually the managing partner), but it also has one or more limited partner. The limited partner(s) does not participate in the day-to-day running of the business and has no personal liability beyond the amount of his or her agreed cash or other capital investment in the partnership. Limited liability partnershipSome states have enacted statutes that provide for a limited liability partnership (LLP). An LLP is a general partnership that provides individual partners protection against personal liability for certain partnership obligations. Exactly what is shielded from personal liability depends on state law. Since state laws on LLPs vary, make sure you consult competent legal counsel to understand the ramifications in your jurisdiction. CorporationsCorporations offer some advantages over sole proprietorships and partnerships, along with several important drawbacks. The two greatest advantages of incorporating are that corporations provide the greatest shield from individual liability and are the easiest type of entity to use to raise capital and to transfer (the majority stockholder can usually sell his or her stock without restrictions). C corporationsA corporation that has not elected to be treated as an S corporation for federal income tax purposes is typically known as a C corporation. Traditionally, most incorporated businesses have been C corporations. C corporations are not subject to the same qualification rules as S corporations and thus typically offer more flexibility in terms of stock ownership and equity structure. Another advantage that a C corporation has over an S corporation is that a C corporation can fully deduct most reasonable employee benefit costs, while an S corporation may not be able to deduct the full cost of certain benefits provided to 2% shareholders. Virtually all large corporations are C corporations. S corporationsA corporation must satisfy several requirements to be eligible for treatment as an S corporation for federal income tax purposes. However, qualification as an S corporation offers a potential tax benefit unavailable to a C corporation. If a qualifying corporation elects to be treated as an S corporation for federal income tax purposes, then the income, gains, deductions, and losses of the corporation are generally passed through to the shareholders. Thus, shareholders report the S corporation’s income, gains, deductions, and losses on their individual federal income tax returns, eliminating the potential for double taxation of corporate earnings in most circumstances. Limited liability companyA limited liability company (LLC) is a type of entity that provides limitation of liability for owners, like a corporation. However, state law generally provides much more flexibility in the structuring and governance of an LLC as opposed to a corporation. In addition, most LLCs are treated as partnerships for federal income tax purposes, thus providing LLC members with pass-through tax treatment. Moreover, LLCs are not subject to the same qualification requirements that apply to S corporations. However, it should be noted that a corporation may be a better choice of entity than an LLC if an IPO is anticipated. Choosing the best form of ownershipThere is no single best form of ownership for a business. That’s partly because you can often compensate for the limitations of a particular form of ownership. For instance, a sole proprietor can often buy insurance coverage to reduce liability exposure, rather than form a limited liability entity. In any case, the advantage of a bank loan is that you won’t have to give away any equity if your business succeeds. You will simply repay the loan and own your business outright. If your business fails, however, you may end up losing more than your business assets, depending on the terms of the loan. Perhaps the greatest obstacle is finding the right angels. There are many people out there who want to invest in small businesses, but it’s not easy to find the right fit. If you opt for this route, make sure that all parties have the same expectations regarding the prospect of success. You need to agree on how long you expect it will take for the business to be profitable (be aware that most small business plans are overly optimistic as to profit expectations) and whether your angels will hang in there with you if it takes longer than expected. It is this aspect of specialization that makes venture capital financing difficult for most new businesses to obtain. If your new business doesn’t fit into the right niche, your company might not be a candidate for funding. An alternative to the traditional method of issuing stock–which can be a complex and cost-prohibitive process for smaller organizations– is equity crowdfunding, or using the Internet to sell equity to small investors. On October 30, 2015, the Securities and Exchange Commission (SEC) released final rules on equity crowdfunding. While the forms that funding portals use to register with the SEC became effective early in 2016, the final regulations took effect on May 16, 2016. Finally, before making any investment commitment, an investor must acknowledge that he or she has reviewed the funding portal’s educational materials, understands that the entire amount of his or her investment may be lost and is in a financial condition to bear the loss of the investment, and has completed a questionnaire demonstrating an understanding of the risks of any potential investment and other required statutory elements. The 7(a) Loan Program is the SBA’s most popular loan program, and it includes financial help for businesses with special requirements. It helps start-ups find funding when they otherwise might not be eligible for traditional financing options. Eligible expenses include equipment, furniture, and supplies, as well as short- and long-term working capital. In addition, funds are available for loans to businesses that handle exports to foreign countries, businesses that operate in rural areas, and for other very specific purposes. The maximum loan amount is generally $5 million (certain exceptions apply). In addition, don’t overlook your local government loan programs. Local governments may also offer incentives such as tax breaks or a discounted loan rate if you locate your business in their jurisdiction, often in an area zoned for economic redevelopment. Like a valued office manager, your record-keeping system should have good work habits. It should be easy to use. If it’s too complicated, it might be neglected, defeating its purpose. It should reflect information accurately, completely, and consistently throughout all of its applications, and it should do so in a timely fashion; you don’t want to base important business decisions on partial or outdated information. Finally, it should present results in an easily understandable manner. If you can’t comprehend the data that your record-keeping system provides, you might ignore their implications. You can decide whether to keep your own books or hire someone to do it for you. Your decision depends in part on how much time and ability you have for the task. You can hire a company that specializes in payroll services to handle the paperwork and withholdings for your employees. Most small-business advisors suggest that you have an accountant prepare your tax returns and year-end statements. In many cases, an accountant can also offer advice on various aspects of financial management, such as cash flow analysis, borrowing for the business, tax considerations, and suggestions for which software to buy for record keeping. Whichever way you go, you should stay involved in the record-keeping process. After all, it’s your business, and ultimately you are responsible for its success or failure. One of the most important functions of business records is to prepare you (or your accountant) for filing tax returns for the business. Thus, you may want to set up a record-keeping system that captures information in a way that matches the demands of the IRS. If you are a sole proprietor, you’ll want to familiarize yourself with the requirements for completing Form 1040, Schedule C.
If you produce, purchase, or sell merchandise, you typically must keep an inventory and use the accrual method of accounting. However, there are exceptions to this rule if you are a “qualifying taxpayer” or a “qualifying small business taxpayer.” You are a qualifying taxpayer if your average annual gross receipts are $1 million or less and your business is not a tax shelter. You are a qualifying small business taxpayer if: your average annual gross receipts are less than $10 million; you are not prohibited from using the cash method as defined by Section 448 of the Internal Revenue Code; and your business is an eligible business as defined in IRS Publication 538. The business-related portion of deductible car or truck expenses may be the actual expenses incurred (including gas, oil, tires, repairs, insurance, depreciation, and rent or lease payments), or you may elect to take the standard mileage rate (53.5 cents per mile for 2017, down from 54 cents per mile for 2016). Depreciation may be taken on property that is used in the business or held to produce income, provided it has “substantial” and “determinable” useful life. This means that it has a life beyond the year in which it was purchased but will also become obsolete or wear out over time. Examples include business cars, computers, and office furniture. Through 2017, an additional first-year “bonus” depreciation deduction is available, equal to 50% of the adjusted basis of qualified property placed in service during the year. The deduction amount decreases to 40% in 2018 and 30% in 2019. The basis of the property and the regular depreciation allowances in the year the property is placed in service and later years are adjusted accordingly. Alternatively, instead of claiming the bonus depreciation, companies may elect to accelerate alternative minimum tax credits. You may deduct 50 percent of meal and entertainment expenses directly associated with the conduct of your business. You may be able to deduct the full amount of other travel-related expenses. Records management is vital to any business. You should have a good system in place that will ensure that both your paper (physical) records and your electronic or digital records are retained as long as they need to be. Make sure your records are easily identifiable and accessible, and keep them well-organized. Shred (and recycle) paper records that you do not need or no longer need. Keep your electronic records safe and secure by adding a firewall to your computer and using software that provides adequate security. Back up your computer regularly using a CD, external hard drive, or an online remote back-up service (i.e., in the “cloud”), and be sure to use logins and passwords that are secure. Dispose of e-records carefully. If you were to die prematurely or become permanently disabled and could no longer work, would your business survive financially? It’s easy to believe that such a tragedy won’t befall you. Consider, however, that accidents happen not only on the job but also at home, and illness can strike anyone. Though the death or disability of an owner may be a minor issue for large businesses, small businesses may find themselves in a bind. And if you’re a sole proprietor, you’re personally responsible for all of the debts of your business, so everything you own could be repossessed if you’re unable to pay your bills. Your business can also purchase life insurance and disability insurance on a key employee–someone who is key to the success of your business (i.e., this employee brings in substantial accounts or has specialized knowledge or talent). Again, on the triggering event, your business would receive a sum of money to compensate for the lost income generated by the event, or for the cost of replacing the employee. Note: These types of policies are different from workers’ compensation insurance, which nearly all states require businesses to have. Workers’ compensation insurance provides compensation to your employees if they’re injured at work or get sick from job-related causes. Once an employee opts to receive benefits under such a policy, he or she is usually prohibited from suing your business for the same injuries. If you have recently started your own business and work out of your home, you’ll probably need to upgrade your insurance program. At-home business owners often make the mistake of assuming that their homeowners policy covers their business equipment. In fact, your homeowners policy may include little or no coverage for your business property and business liability exposure. You also should consider the need for business interruption insurance, workers’ compensation coverage, and business automobile coverage. Finally, you should examine your need for life, health, and disability insurance. The business property limits typically begin at $10,000. Depending on the policy, the business liability limits may range from $300,000 to $1 million. The policy covers lost income and continuing expenses for up to one year in the event your home is damaged and you’re unable to work. The policy also covers loss of valuable papers and accounts receivable, while offering higher limits for equipment breakdown coverage and business property used off-premises. An umbrella policy provides increased liability limits beyond those in separate policies. For example, say you have a BOP with a general liability limit of $3 million. If you think you’ll need more than $3 million for your business, an umbrella policy will pick up where the BOP leaves off. If you purchase an umbrella policy with a $5 million limit, your total limit of liability would be $8 million. If you use your personal automobile extensively for your own business, you’ll probably need to purchase a commercial automobile insurance policy. Examples of such small businesses are painters, caterers, and contractors. If you use your automobile as part of your business (e.g., a taxi service), you definitely need a commercial policy. Even if you have only one employee, you need workers’ compensation insurance. Each state has its own minimum requirements for this type of coverage–contact your insurance agent or state insurance department for details. Chances are, you already have a life insurance program in place. Though your individual life insurance needs may not change when you start an at-home business, the amount of insurance you have may change. For example, if you lost employer-sponsored coverage when you left your previous job, you may want to make up the difference so that you’re still adequately protected. You may also need more insurance to cover any debts or liabilities you took on to develop your business. This type of insurance is very important to consider when you have your own business. Ask yourself if you have enough resources to support your family if you became disabled and could not work. If you do have some savings, how long would they last? Would you be depleting savings that are earmarked for your retirement or your kids’ college education? Most people need disability insurance to protect against the loss of income that can result from disability. Your ability to produce an income is an asset that should be covered like your house and your car. Individual health insurance is very expensive. What’s more, some states have made the laws so restrictive for individual health insurance that many insurance companies in those states no longer offer them. However, one way to buy yourself protection before finding a permanent health plan may be to purchase short-term health insurance, if these policies are allowed in your state. These policies run from one to six months and are relatively inexpensive. Contact your insurance professional to find out how you can get short-term medical coverage. Health insurance is by far the most common benefit offered by employers, and the one most requested by employees. However, with the passage of the Affordable Care Act in 2010, offering a health insurance plan has taken on even more importance for small businesses. That’s because employers with 50 or more full-time employees are subject to financial penalties unless they offer “minimum” and “affordable” coverage to at least 95% of their full-time employees. Minimum means that the company’s share of total plan costs must equal at least 60%. Affordable means that an employee’s share of the premium must be less than 9.69% of his/her household income (in 2017). . The 2010 health-reform legislation also created a tax credit for employers who have 25 or fewer employees, offer minimum and affordable coverage, and meet other specific requirements. Currently, you’re required to purchase disability insurance if your employees are located in California, Hawaii, New Jersey, New York, Puerto Rico, or Rhode Island (Source: SBA.gov). * In many states, owners of an LLP have only a reduced form of limited liability from the claims of the business’s creditors. How much money your business needs, how the financing will be used (start-up, expansion, new development), as well as how your business is organized, its size, and its stage in the business life cycle (start-up, growth, or mature phase) are just a few of the things that may influence your efforts to raise capital. A limited partnership is a form of business ownership that consists of general partners and limited partners. There is no maximum number of either type of partner, but there must be at least one general partner. The general partners manage the partnership and are typically personally liable for all of the partnership’s obligations, as well as for the acts of the other partners on behalf of the partnership. Limited partners are generally exposed to such liability only to the extent of their investment in the limited partnership. However, they are not permitted to participate in management of the partnership without the loss of this liability protection. A limited partnership offers some flexibility when allocating profits and control. This flexibility can provide certain tax and business advantages for individual partners. State law and the partnership agreement govern a limited partnership. Your partnership agreement should spell out the entire arrangement between the partners and state each partner’s share of profits and losses. In cases where the partnership agreement fails to address an issue, state law will dictate how the partnership is to operate. In these instances, your state’s version of either the Uniform Limited Partnership Act (ULPA) or the Revised Uniform Limited Partnership Act (RULPA) will determine how disputes are resolved. Basics, such as vacation, paid holidays, sick leave, and a health insurance plan, are often needed to be competitive in today’s benefits market. In large companies, most employees also expect a qualified retirement plan to be available. Consider including long-term and short-term disability coverage, group life insurance, dental and vision care, stock options, and contributing to or matching your employees’ contributions to the company’s retirement plan. Other benefits you can offer include fringe benefits, such as the use of a company car, flextime, telecommuting, parking passes, public transportation passes, club memberships, or tickets to sporting events. You might view these from the aspect of which ones actually cost the company money. For example, unless you need a certain number of staff on shift, flextime may not actually cost you money. You can also set up pretax accounts for employees to save for dependent expenses. The only cost to your business is the administrative fee. The cost of providing these benefits to your employees is often tax deductible to your business. You also may be able to exclude the value of the benefits from your employee’s gross income. This reduces your taxable payroll, resulting in a decrease in your Social Security, Medicare, and state and federal unemployment tax obligations. This decision depends on several factors, such as the cost of the asset, your cash and/or credit position, and the asset’s value to you now and in the future. One, you may need business property insurance to cover your assets against various losses that result from natural and man-made causes. Check the policy to determine what assets and events it covers, and purchase riders for any additional coverage you feel is necessary. You may want to cover any building you own and its contents (e.g., furniture, office equipment, inventory, and supplies). If you lease space, you may still want to purchase property insurance; your landlord’s building insurance will not cover your business possessions. If you run your business from your home, you should consider purchasing separate business property insurance. In most cases, your homeowners policy does not cover the use of your home for business purposes. Three, if you have employees, your state may require you to purchase workers’ compensation insurance. This insurance covers medical expenses and at least a portion of lost wages for employees injured or taken ill as a result of their employment. Your state’s laws determine the maximum number of workers you may employ to be excluded from mandatory coverage, and the types of employees (e.g., independent contractors) that you may exclude from coverage. Although it’s true that many new small businesses go under within their first year or two, there are usually reasons that can explain their failure. If you’re aware of the pitfalls associated with the start-up of a new enterprise, you can take steps now to maximize the chances that your business will succeed. To run your business successfully, you may need advice in a number of diverse areas such as financial planning, accounting, law, taxation, insurance, and investment management. For this you may have to hire one or more advisors. Before you hire an advisor, however, it is important to understand your needs, because a well-chosen advisor can point your business in the right direction and help you pursue your goals. When looking for a particular advisor, start with a referral from someone you have worked with previously or from colleagues you respect. If that doesn’t work, call a local referral agency or local professional association. Other options include the Internet and advertisements in the local media. Do the advisor’s fees work within your budget? In a job market where the economy is strong and unemployment is low, finding qualified employees may be difficult. However, in a slow-growth or recessionary environment, finding qualified individuals will probably be much easier. Think about the type of employees that you want to hire. The skill level and experience requirements you set will determine the best search method for you. You should consider recommendations from friends, family members, and business associates. You may also find help through professional, government, community, and religious organizations. While word-of-mouth recommendations often result in the best candidates, another option is a career-oriented website. These sites are typically user-friendly and full of qualified job seekers looking for the right opportunity. Some sites can even manage your search by keeping a list of candidates you’re interested in or not interested in, those you’ve contacted, those who’ve contacted you, and so forth–all with the click of a mouse. You can find a list of these sites by typing “job,” “career,” or “employment” into your favorite search engine. Most sites charge a flat rate for their services. Although the traditional “Help Wanted” sections of the newspaper are rapidly becoming obsolete, they can still be helpful if you’re looking for a local candidate for unskilled or part-time work. Placing an ad in the Sunday edition of a local newspaper will likely allow you to reach a wider audience than you could reach with the same ad on any other day. If your goal is to find a highly skilled professional or an executive with years of experience, your best bet may be to hire a professional headhunter or search firm to assist you. These firms will do the legwork for you (e.g., sift through resumes, conduct initial interviews, and weed out unqualified candidates), but the service typically comes with a substantial price tag. Most will charge a percentage of an employee’s first-year salary as a fee. 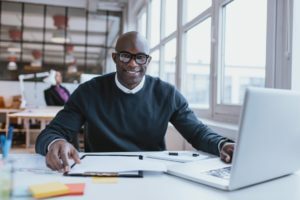 If you have a small business and funds are tight, you may be better off conducting your own search via the Internet or professional organizations. The money you save can be used to attract new employees or hold on to the good ones you already have. If sensitive or confidential information (e.g., customer lists, pricing information, manufacturing or sales materials) is a component of the business you’re buying, you can require the seller to sign a noncompetition agreement. This will prevent the seller from starting a similar business or going to work for a competitor and walking away with the customers, the employees, or the know-how of the business you just bought. Simply put, it prohibits the seller from competing with you. You may also want to consider entering into noncompetition agreements with the seller’s employees. A noncompetition agreement will be legally enforceable only if it is properly drafted. The courts will generally enforce a noncompetition agreement only if it is drawn narrowly, defines the interest you want to protect, and is related to what you want to achieve–namely, to prevent the seller from competing with you. One-person group policies can’t refuse to insure you or your dependents because of health problems. But, you will have to prove that you operate a legitimate business. Usually, this requires supplying copies of your tax returns and business licenses. In any case, as of 2014, the Patient Protection and Affordable Care Act provides that you can’t be denied coverage based on your health status or health history or the health of a family member included in coverage. And, since you don’t have coverage available through an employer, you can shop for and buy coverage through either a state-based or federal health insurance Exchange Marketplace. Operating a day-care business in your home presents an increased liability risk–the possibility that someone will be injured in your home or that your property will be damaged. Your standard homeowners insurance policy may not provide enough coverage for either of these situations. In fact, some policies specifically exclude coverage for home day-care businesses. Contact your insurance company to ask whether it will allow you to attach a rider or endorsement to your existing homeowners policy that will extend coverage to your day-care business–a business owners policy might be appropriate. If not, you should consider purchasing a separate policy to cover your day-care business. Even better, some insurance companies offer special day-care policies that will provide you with additional liability coverage. This type of policy is completely separate from your homeowners policy. Check with your insurance company for more information. Beyond liability coverage, you may have additional insurance needs. If you’ll be driving any children in your car, you’ll want to make sure that your auto insurance policy provides coverage for the business use of your personal vehicle. If it doesn’t, you should think about purchasing a business auto insurance policy. You may also want to consider legal defense coverage that will cover your legal fees if you’re sued for the emotional, physical, or sexual abuse of a child in your care. For more information about legal defense coverage, contact your insurance company. Homeowners policies usually don’t cover laptops used for business. Check with your insurer to find out what your other options are. You may need to purchase incidental business coverage, add a floater to your homeowners policy, or purchase a separate laptop policy. Yes. In fact, if you’re self-employed, disability insurance is even more important for you than for the average employee. If you are injured and are unable to work, you don’t have the built-in luxury of paid sick leave to tide you over. So you’ll want to take a serious look at your financial situation and decide whether your cash reserves are sufficient to carry you through an extended disability. If not, disability insurance is a good idea for you. At any age before 65, you are statistically more likely to suffer a disability of more than 90 days than to die unexpectedly. If you purchase it, disability insurance could be the only thing that prevents you from losing things such as your home or your business. When you’re unable to work for an extended period of time because of an injury or illness, disability insurance provides a financial safety net by paying you monthly benefits until you are able to return to work. Since your business is likely your only source of income, your disability insurance policy should have as short a waiting period as possible. Most disability policies offer waiting periods of 30 to 180 days after the onset of the disability. When applying for the insurance, you can choose a policy with the waiting period and benefit period you want. Keep in mind, however, that your premium will increase as the waiting period gets shorter and the benefit period gets longer. Being self-employed, you’ll have to purchase this insurance on your own. The availability of coverage will depend on factors such as your occupation, whether you work from home, and whether you have any risky hobbies (e.g., motorcycle racing). Your insurance agent should be able to help you find a disability policy that meets your needs. If you are self-employed, one of the best ways to obtain affordable health insurance is by enrolling in your spouse’s employer-sponsored health plan. Group health coverage is often significantly less expensive than individual health insurance, and your spouse’s employer may pay part of the cost. But if this is not an option for you, look into group health insurance sponsored by a local or national association. Many kinds of associations offer group health insurance, including national and industry groups, groups created specifically for small employers, and chambers of commerce. To be eligible for an association’s insurance plan, you’ll need to join the association, and possibly take a medical exam before you’re accepted into the health plan. In some states, private insurance companies will provide health insurance to the self-employed. Check with your state’s insurance department to find out which health insurance companies do business in your state. Although private insurance can be quite expensive, premiums will vary with each company, so it’s best to shop around. If you’re reasonably health and need only occasional health care, one way to reduce your premium cost is to purchase a high-deductible health plan. A qualified high-deductible plan may be paired with a health savings account that will enable you to save money for health-care expenses tax free. Because the cost is generally reasonable, buying short-term medical insurance may also be an option worth considering if you only need insurance for a brief period of time. Policies are effective for one to six months, and you can generally renew them once. However, not everyone will be insurable, and no coverage for pre-existing conditions is available. As of 2014, you also have the option of shopping for and purchasing individual health insurance through either a state-based or federal health insurance Exchange Marketplace. Ask your insurance agent to help you find health insurance. Your agent will be familiar with both the local markets and state regulations, and can guide you through the process of finding and applying for the proper coverage.